Rarely has a film looked as beautiful as “Carol,” especially a film shot in Super 16mm. A lot of stars aligned. Todd Haynes directed. 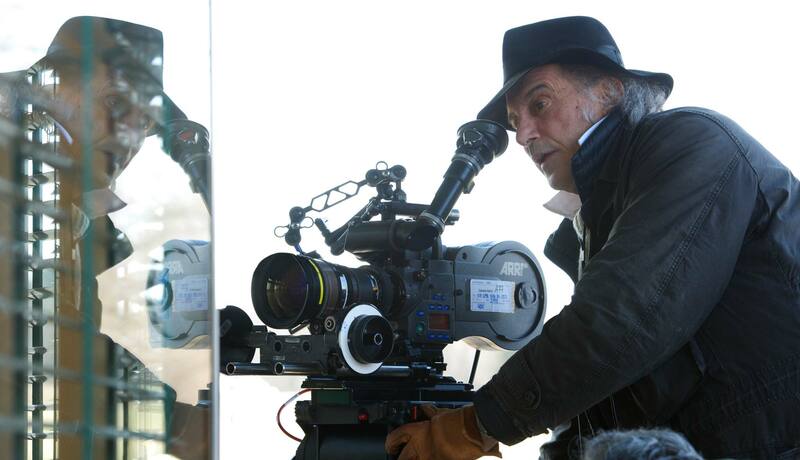 Ed Lachman, ASC was the cinematographer, with breathtaking lighting, moving camera, motivated reflections, mirrors, flares, streaks and muted colors. There was a confluence of excellent choices, among them, Cooke vintage lenses, Kodak Vision3 16mm film, Arriscan and DI at Goldcrest, grading by John Dowdell III, and two great actresses, gorgeously glowing in muted light. ED LACHMAN: This is an adaptation of Patricia Highsmith’s second book, “The Price of Salt.” She is known for her crime novels. Her first book, “Strangers on a Train,” was a big success. This book was different, a personal memoir. She got it published in 1952 but had to write under the nom de plume Claire Morgan because of the subject matter. It was a love story between a younger and an older woman. What was radical about this story line was that there was actually the possibility that the relationship would succeed. Up to this point, such a story usually ended in a sanitarium or suicide. It became a very successful book. Todd likes to think of this period love story as if it aligned with her crime novels—the crime was their love. The film is really about the isolation of desire, the romantic imagination, and the unsettling of the amorous mind. There’s a certain subjectivity in the storytelling. In literature, you can enter the interior world of the character but it’s much harder to show where you are. In cinema you have the opposite. In one shot you can show where you are but it’s much harder to enter the interior world of the character. So this kind of story lent itself to trying to reveal the emotions inside the characters. That’s why it lent itself so well to being created through images rather than words. The words are actually very elliptical in the film. How did you determine the look of the film? I’ve worked with Todd Haynes, the director, for 14 years. Todd and I have an open discussion about things in advance of the film and it was also a discovery during production. He also does a look book (a scrapbook of swipes, photos, swatches, and notes). The interesting thing about working with Todd is how he references the ideas for the film. This was a special period, after the war, just before Eisenhower was elected. It was a period of great uncertainty in America because the Soviets were taking over Eastern Europe, there was the Communist scare, McCarthyism was becoming prevalent in the United States. It was an austere time that fit with the language in the story and created the emotional context for the characters. The palette was much more monochromatic. Todd likes to call it soiled. I call it a lived-in look. So we’re dealing with two characters. Young Therese is a young shop girl played by Rooney Mara. She’s working in a department store like Bloomingdales, in the toy section. Nothing is synthesized in her life. She’s falling in love with this older woman but she has a boyfriend and she’s still in formation of what she can do in life. Her character slowly comes into focus. She realizes that she has love and affection for this woman. But their love is actually defined by the outside world’s sense of morality. We didn’t want to reference the cinema of the time, of melodrama or noir, so we looked towards the documentation of photojournalists. Many of them were women. We gravitated to Helen Levitt, Ruth Orkin, Esther Bubley and Vivian Maier. In the book, Therese was a set designer but they changed her to a photographer which helped reinforce the subjectivity of her mind. In looking at photojournalists of that era, we discovered they also worked in early color photography with Ektachrome slides. I felt that by using Super 16 I could closer equate what Ektachrome looked like. If I had used 35mm, I find that it is now almost grainless—which is wonderful. But by the time we go through digital, DI and digital projection, film almost looks digital to me. I wanted to reference Ektachrome and the way film felt at the time. So we chose Super 16. We had experimented using Super 16 in “Mildred Pierce” and screened a segment of it at the Venice Film Festival. We were pleasantly surprised how well the Super 16 held up. You’re not going through a blow-up, you’re going directly from the Suepr 16 to a digital file. So you don’t lose a generation. The feeling and texture of the grain reinforced the emotionality of the story. It had an anthropomorphic quality to it. I like to say that you’re viewing characters living their emotions in the texture of the grain. You said it was an Ektachrome look. Ektachrome colors had a cooler, more muted feel. The color palette of Ektachrome slide film wasn’t what we see today in a negative or even in the digital world. It wasn’t a full color spectrum. There were muted magentas, greens, and yellows against the overall bluish cast of the slide film. The colors were grayer. And also you felt the grain more in Ektachrome. This was the look we chose to represent the time being documented in a form of naturalism. You found a great way to address the digital dilemma of things looking too perfect. Digital can look too clean. But I don’t like to give the impression that I’m the one holding out only for film. And I have to say that certain stories can lend themselves more to digital, and some films can lend themselves more to film. This is an interesting side note. Technicolor and Deluxe merged and it was the New York Film Lab. Todd and I decided to make two prints. We loved the way it looked from the 16mm negative to DI and then output to 35mm. But then I was told that these would be the last two prints made at the lab. I went back and asked what was going to happen to all the equipment. And they said, “Nobody wants it. We’re gonna have to throw it out.” I couldn’t believe it—a quarter million dollars worth of film equipment that they just overhauled, about to be thrown out. I went to the general manager of the lab and asked him if I could make an arrangement to disassemble it and truck everything out of there. I talked to my grip, Jim McMillan, and he gave me 1,500 square feet in his warehouse. I’m now in possession of the whole lab. I’m hoping that someone comes to their senses so the lab won’t be totally lost. I’m holding onto a lab and hopefully there will be a film lab in New York again. You could put it back together again and call it Lachman Lab? I don’t want to go in the lab business but I wanted to save it. The person who built the machines lives on Long Island and it could easily be reassembled. Then where did you process this film? It was all processed at Technicolor because at that point the lab was still running and developing film. It’s crazy there’s no lab left in New York. And one in L.A. So many lost opportunities. 15 to 25 percent of the larger budget features being shot in Hollywood are shot on film. Steven Spielberg, Chris Nolan and Darren Aronofsky are making commitments and if Kodak continues to manufacture, we must have the infrastructure to support film. A problem I had with “Carol” was finding a loader in Cincinnati, Ohio. I brought my crew, my gaffer John DeBlau, key grip Jimmy McMillan, and operator Craig Haagensen. I opted to get the rest of the camera crew in Ohio and it was very difficult to find a loader. It’s becoming a lost art. Take us through the opening shot. We fade up on the sidewalk grate. The camera rises, tilts up to follow the commuters coming out of a subway station and then picks up its subject, a well-dressed man and follows him to the other side of the street where he purchases a newspaper, then around the corner and finally booms up on the 30-foot telescoping crane as he enters the high-end hotel where we meet our protagonist for the first time. The big technical problem was moving from the grate and then crossing a street with cars traveling and then extending a crane move around the corner. I give a lot of credit to my grip, James McMillan. We had a camera car with a Louma 2 crane. We were on a 45-degree angle crossing the street. We couldn’t have done it with track because then the cars couldn’t pass us. So the traffic was passing by us as we’re traveling across the street, retracting and extending the arm while we’re making the move. What lenses and cameras did you use? The camera equipment came out of ARRI Rentals New York (formerly ARRI/CSC). We had Arriflex 416 cameras but the lenses were mine. I have a Cooke Varopanchro zoom 10-30 T1.6 for Super 16 format. I think they made about a dozen. They came after the Cooke 30-30 T3.1 for 35mm format. We also had an Arri Master Zoom, 16.5-110 T2.6. It’s a monster but there’s no breathing. It’s incredibly sharp and I used that lens extensively on “Mildred Pierce.” It’s a great lens for Super 16 because of the speed. I used it like a prime lens. For daylight scenes I have a set of Cooke Speed Panchros. For interiors I would use my Cooke S4 primes. For focal lengths wider than 25mm, I was using the Arri Super 16 primes lenses. I have an old Angénieux 25-250 T3.5 HR lens that I used from time-to-time. But the Cookes were the main lenses. I primarily used the Speed Panchros on day exteriors because I liked the fall-off on the edges of the optics and that, I think, lends more of a portrait feeling to the images. And no diffusion. When I shoot in Super 16 I never use diffusion because shooting through glass, with reflections and the weather, created its own kind of diffusion. How were you able to match all these different lenses—different coatings, vintages, qualities? That’s a good point you bring up. I was using the Panchros outdoors in daylight (stopped down). So I’m improving what they’re going to look like. And I used the Cooke S4s inside (wider open). Can we talk a little bit about the lighting? I don’t want to talk. I want you to talk about lighting. I didn’t want the film to have a studio look. The conceit was how do you create a naturalistic world in which these women were entrapped? I lit it very simply in many real locations. I used paper china balls, tacked up on the ceiling. Light bulbs on rheostats, BBAs, covered wagons, (light bulbs on a batten with chicken wire and covered with muslin). I didn’t use any LEDs. Lighting was all motivated by the source light, by practicals, and it was very naturalistic. I never wanted you to feel the light. I always think environments and locations create the light source. Every room creates light in a different way: where the windows are positioned or where they’re not. Where the light fixtures are in the room. I just try to enhance those things to create the feeling. I also play with color temperature. It was a winter film so I let the windows go cool. I used tungsten film indoors and I mixed tungsten light with daylight. In exteriors, I sometimes used tungsten film with a Tiffen 81EF or an 85C for a cool wintry look outside. Why did your Super 16mm look so good? When I shoot Super 16 or even 35mm, I’m giving the negative a half a stop to three-quarters of a stop more exposure. I like my printer lights in the 40s, and that helps decrease the grain. I’m trying to do everything to make the Super 16 look as good as it can be. And as I said, I don’t use any diffusion with Super 16. I also find, working in film with the grain structure, that the colors inhabit a different world than the digital world. I find the microscopic RGB layers give a sense of depth to the image that are lacking digitally because the pixels are all fixed on one plane. So light, shadow and the colors are all on one plane in digital cameras. But in film there’s a certain microscopic difference between the layers of RGB. I wasn’t trying to create only a representational view of the world but a psychological one. We explored the amorous subjectivity of the mind, the isolation of desire and romantic imagination. Our use of film enhanced the emotions of the story and the look of the movie. PDF Preview of complete article in Film and Digital Times February 2016 edition going to press soon. such a great film! and a really well done interview to get a sense of the super 16 used! I wish I could find one of those Cooke 10-30mm lenses. Love some of these tips, and would be curious to know if Ed is also pull-processing the film to compensate for overexposing, or if he’s just pulling it back it in post. Didn’t quite catch the printer lights reference, is that a comment about the scan?